L.E. Taylor & Sons, Inc is a family owned and operated business that spans over three generations. Laurence Taylor Jr. started logging over 50 years ago. Each of his four sons joined him in their teenage years. Laurence's grandchildren are now following in his footsteps as well. L.E. 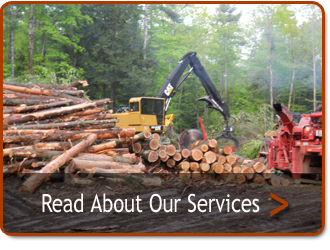 Taylor & Sons was incorporated in 1983 and they take great pride in their knowledge of the logging and forestry business and we are fully insured.